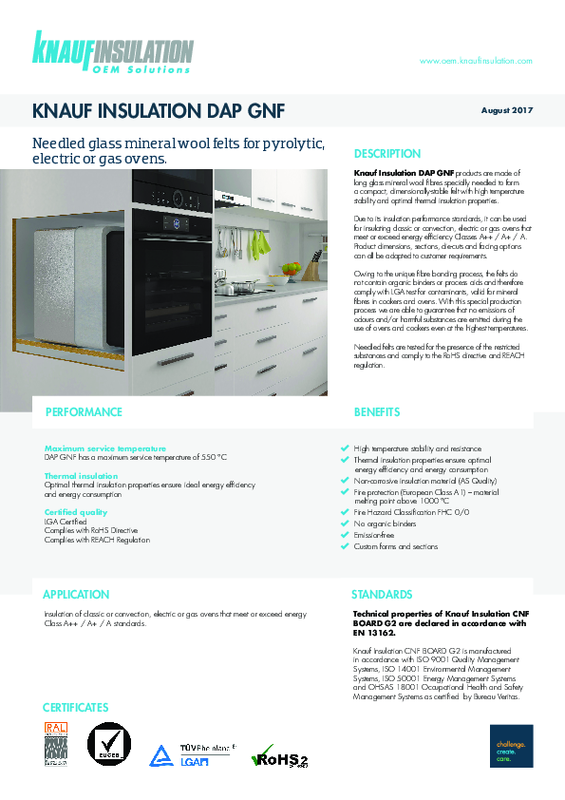 Knauf Insulation DAP GNF - Needled glass mineral wool felts for pyrolytic, electric or gas ovens. Knauf Insulation DAP GNF products are made of long glass mineral wool fibres specially needled to form a compact, dimensionally-stable felt with high temperature stability and optimal thermal insulation properties. Due to its insulation performance standards, it can be used for insulating classic or convection, electric or gas ovens that meet or exceed energy efficiency Classes A++ / A+ / A. Product dimensions, sections, die-cuts and facing options can all be adapted to customer requirements. 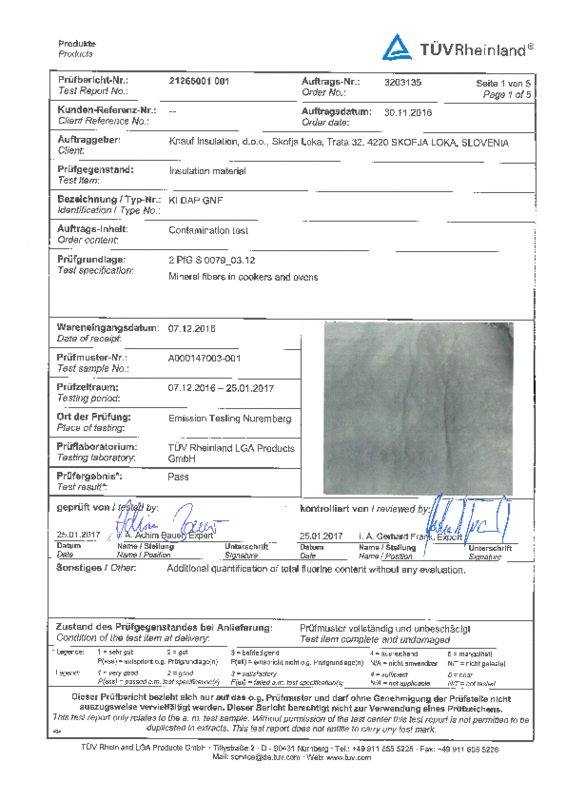 Owing to the unique fibre bonding process, the felts do not contain organic binders or process aids and therefore comply with LGA test for contaminants, valid for mineral fibres in cookers and ovens. With this special production process we are able to guarantee that no emissions of odours and/or harmful substances are emitted during the use of ovens and cookers even at the highest temperatures. Needled felts are tested for the presence of the restricted substances and comply to the RoHS directive and REACH regulation. Insulation of classic or convection, electric or gas ovens that meet or exceed energy Class A++ / A+ / A standards.